This Trial Membership allows you to choose from the clubs portfolio of multi-million-dollar residences in the finest beach, mountain and golf destinations, including the Turks & Caicos, Deer Valley and Kiawah Island. Each spacious residence  typically 4,000 square feet with four bedrooms and at least four bathrooms  is a comfortable home away from home for a gathering of family and friends, the perfect place to celebrate a birthday, anniversary, wedding or graduation. 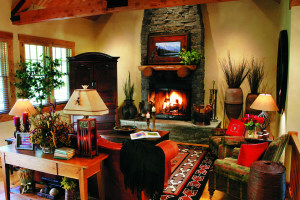 In addition, as guests of the A&K Residence Club, your family will have access to memorable experiences such as a behind-the-scenes private tour of the Turtle Hospital at the South Carolina Aquarium, the chance to ski with an Olympic legend in Sun Valley or meet an artist at the Jackson Hole Center for the Arts. Trial Membership is available for $1,400 per night; an affordable and risk-free opportunity to experience the destination club. Reservations can be made for a minimum of 3 and a maximum of 7 nights and can be made from 2 to 180 days in advance of your travel date.